eValuestores.com seems to be very active in adding items to their inventory, this is totally something I would wear with jeans! I am still counting down to the day I can resume making my very own design of jewelry, so looking around for great wearable art from everywhere on the internet had now become my daily routine. 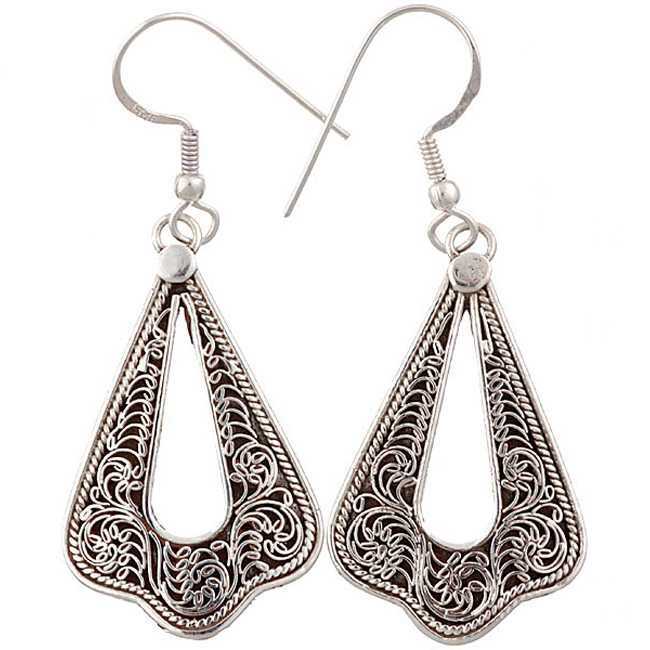 Item named Sterling Silver Filigree Handmade Earrings, filed under jewelry section. This pair of earring is designed and done by a talented, small family business in Jaipur, India, they work from home, allowing them to stay in their villages instead of urban centers, they promote only traditional handcrafted arts and techniques.